N - Nawabs of Pataudi - Firstly, Nawab Mohammad Iftikhar Ali, the 8th Prince of the Pataudi Palace, captained the touring Indian team to England in 1946. Then his son Nawab Mohammad Mansoor Ali Khan Siddiqui at age 21, was made the captain of the Indian cricket team. Nawab Iftikhar had the distinction of being the only cricketer to play test cricket for both India and England. O - Origins of cricket - It was said that the game of cricket was played as early as 1300, with King Edward shown to be wielding a bat. The sheep-raising countryside of the Southwest of England was the most plausible assumption due to its short grass of pastures conducive to rolling a ball at a target. The earliest recorded match, however, was in the year 1646, in the county of Kent. The word "cricket" is derived from the word "cricc' which implies shepherd's staff. It is widely believed that the first cricketers were shepherds wielding their 'criccs' as bats and the wicket gate of the sheep acted as targets. P - Packer's World Series - In 1977, Kerry Packer changed cricket forever. Due to a falling out with the Australian cricket hierarchy and the pay crisis, Packer decided to create a rebel league which ran in opposition to international cricket. Packer signed some of the world's best players in Clive Lloyd, Greg and Ian Chappell, Tony Greig, Viv Richards, Imran Khan and many more. The series also provided opportunities for banned South African players to perform on the world stage. The series lasted till 1979 but cricket has been impacted forever. Coloured clothing, lucrative contracts, day-night cricket and broadcasting power are now embedded in the DNA of contemporary cricket. Image: Kerry Packer’s World Series. Image credit - ESPNCricinfo. Q - Qasim Ali Umar - is the first Kenyan born cricketer to play test cricket for Pakistan national team. Qasim played 26 tests and recorded two double centuries. His most important innings was against a ferocious Australian outfit where he was battered and bruised by the great D.K. Lillee but compiled a brave 113. In 1985, Umar gave evidence against several cricketers, including his countrymen about receiving bribes that included jewellery, money, alcohol and women and laundered drugs to the Europe. Cricketers like Imran Khan and Asif Iqbal totally refuted such claims. R - Rahul Dravid - Dravid was and is still known as the Wall. However, he holds the record for having his stumps disarranged. The Wall has his defence breached a record 54 times in test matches, including nine of the last thirteen innings he played in the test arena. S - Sharma - Ishant Sharma most probably will not be proud of this fact. The three highest scores against India in the 21st century has been Alistair Cook (294 runs at Edgbaston in 2011), Brendon McCullum (302 runs at Wellington in 2014 and Michael Clarke (329 runs at Sydney Cricket Ground in 2012). Sharma dropped all three early in their innings. T - Traicos - John Traicos holds a distinction that is not seen in cricket. He was born in 1947 in Zagazig, Egypt. Traicos is the only player to be born in one country and practice his art for two different countries in South Africa and Rhodesia, which is the modern day Zimbabwe. Traicos represented Zimbabwe in the 1983 Cricket World Cup, which included a shock defeat of the Australian cricket team. U - Undefeated fortress - The Gabba cricket ground of Brisbane or affectionately known as the Gabbatoir due to the incredible supremacy of the home team, Australia against touring sides. Australia has not lost to an opposition team at the Gabba for over 30 years. The last time Australia lost was against the amazing West Indies outfit in 1988. V - Victor Trumper - no cricketing alphabet is complete without the great Victor Trumper. The Australian cricketer was arguably the best batsman of his era with elegant strokeplay and undeniable genius. Trumper did not believe in coaching, but had an enormous amount of confidence in his own talent. 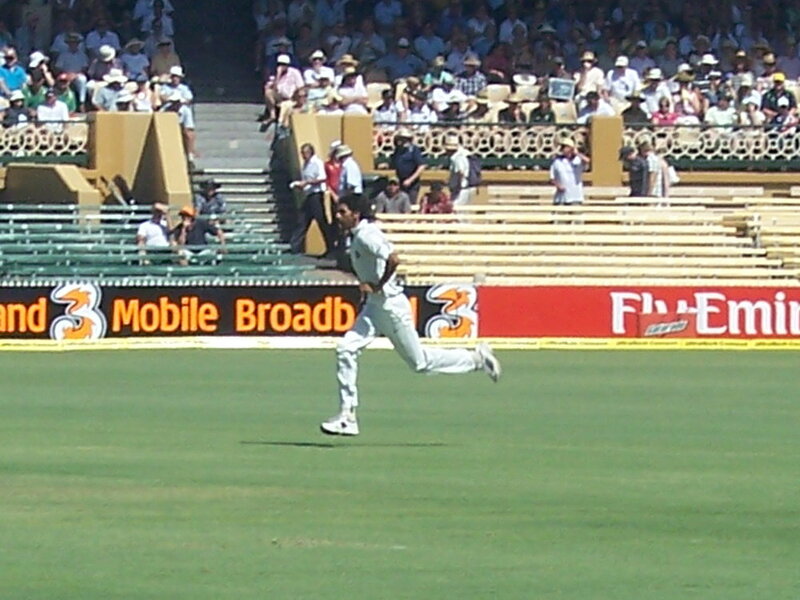 He lived close to the Sydney Cricket Ground and practiced on a concrete pitch with his father. Statistics may not tell the full story, but Trumper was a true icon of cricket. He died at the age of 37 from Bright's disease. W - Wilfred Rhodes - Rhodes played 58 test matches for England in an international career that lasted 31 years. Rhodes has an unbelievable first class record. He accumulated 39969 runs and an eye-popping 4204 wickets with 287 five-wicket hauls and 68 ten-wicket hauls. X - Xavier and Xen - There are only three cricketers in the history of international cricket to have their name starting with X. Australia's Xavier Doherty, South African Xenophon Balaskas and West Indian Xavier Marshall form the trio X-cricketers. Y - Yorkshire Cricket Club - By far the most successful of all county cricket clubs. The club has lifted the trophy 31 times, including sharing a championship. Along with this, Wisden Cricket has chosen 42 Yorkshire cricketers as their Cricketers of the Year. These include Len Hutton, Herbert Sutcliffe, Geoffrey Boycott, Fred Trueman, Darren Gough, Michael Vaughan and the likes. Z - Zimbabwe - There have been many instances where brothers have played together, such as Yusuf and Irfan Pathan, Michael and David Hussey, the Waugh twins, Kamran and Umar Akmal and so on. But in 1997 against New Zealand, Zimbabwe fielded not one, but three sets of brothers. Andy and Grant Flower, Paul and Bryan Strang, and Gavin and John Rennie made up six of the Zimbabwean XI. They drew the match and the series with Grant Flower being adjudged man of the match.